Geography: Yorkshire and the Humber, West Yorkshire. Part of the Wakefield council area and part of the Leeds council area. Main population centres: Morley, Outwood, East Ardsley, Wrenthorpe. Profile: A pair of small towns between Leeds and Wakefield, both former industrial towns turned into residential dormitories. Morley was once a textile and coal mining town, now a hub for new housing development. Outwood was a former pit village, but has seen a massive expansion of new build housing over the last few decades. The area is also, perhaps somewhat incongrously in this post-industrial landscape, a centre for growing forced rhubarb. The area between Morley, Rothwell and Wakefield has for centuries been the centre for rhubarb growing and in 2010 won Protected Designation of Origin status. Politics: Morley and Outwood was previously the seat of Ed Balls, Gordon Brown's ally and the Labour shadow Chancellor under Ed Miliband. After boundary changes in 2010 the Tories ran an energetic campaign hoping to defeat Ed Balls and provide a "Portillo moment" of the election, but fell tantalising short. In 2015 the situation was the opposite, no one expected a Tory victory here given the polls were pointing to Labour gains, but Balls was the most high profile casualty of the surprise Conservative victory. ANDREA JENKYNS (Conservative) Born Beverley. Former business development manager, music teacher and singer. Lincolnshire councillor 2009, 2009-2013. First elected as MP for Morley & Outwood in 2015. ANDREA JENKYNS (Conservative) Born Beverley. Business development manager, music teacher and singer. Lincolnshire councillor 2009, 2009-2013. ED BALLS (Labour) Born 1967, Norwich. Educated at Nottingham High School and Oxford University. Financial journalist and advisor to Gordon Brown as Shadow Chancellor and Chancellor. MP for Normanton 2005 to 2015. Economic Secretary to the Treasury 2006-2007, Secretary of State for Children and Schools 2007-2010. Shadow home secretary 2010-2011, Shadow Chancellor 2011-2015. A close ally of Gordon Brown throughout the last Labour government. Balls was elected as MP for Normanton in 2005, but saw his seat abolished in the boundary review, despite legal attempts to have the boundary commission recommendations overturned. In March 2007 he was selected to fight the Morley & Outwood seat in place of the retiring Colin Challen. Unsuccessfully ran for the Labour leadership in 2010. Balls is married to Yvette Cooper, the MP for Normanton, Pontefract and Castleford. REBECCA TAYLOR (Liberal Democrat) Born 1975, Todmorden. Educated at Leeds University. Contested Rotherham 2010. MEP for Yorkshire 2012-2014. DAVID DEWS (UKIP) Wakefield councillor since 2014. MARTIN HEMINGWAY (Green) Teacher and former archeologist. Leeds councillor 1990-2002 for the Labour party. Contested Leeds North West 2005, 2010, Yorkshire and Humber region 2009, 2014 European elections. ARNIE CRAVEN (Yorkshire First) Born Leeds. Educated at Leeds University. Congratulations to Andrea Jenkyns, who has today given birth to her first child. She must have conceived around the time of the Brexit vote. The last nine months will have been even more agonising for her than it has been for most Brexiteers. They’ll probably call the child “Winston” or some other ridiculous name inspired by their overwhelming feelings of British sovereignty. That will be one right wing kid! Most children of MPs at least have one normal grounded parent to counteract the careerist self-obsessed one. Amidst the congratulations for Mr Lopresti we should remember the appalling way he treated his existing wife and kids. I’m very glad you posted that bit of extremely useful psephelogical information. Amid the expectations of a huge Tory victory, I wouldn’t be shocked to see this seat go the other way now that Ed Balls is no longer in the picture. While Outwood is increasingly attractive to the Tory demographic, Morley is far from natural territory for them and I could easily envisage a Lab gain here. I believe that the UKIP vote going from 16% in the 2015 election, to 8% in the opinion polls now, will favour Labour more than Conservative; and Labour will win, but it will be a close one. My gut instinct tells me that the Tories will hold this with a semi comfortable majority. Labour don’t have an official candidate yet (why I’ve no idea) has given her two weekends to get ahead. As a Labour member I find it extraordinary that we don’t have a candidate yet. Apparently it will be next Monday/Tuesday. Last Sunday Andrea thought she would be standing against Neil Dawson but we still don’t know if that will be the case. As regards a “semi-comfortable majority” I would disagree if we get our local candidate. We have the figures from the last election and without the Ed Balls connection and with a good local councillor there is the potential for an upset although probably not with the current swing. If I had to say one Conservative seat that would be gained by Labour it would have to be this one. Of the 15 Council seats in this area 10 are Labour with 5 independents – no Tories. You contribute to the local website and although it may not be representative I reckon it is 2:1 against Andrea. (never being there etc) as regards comments. I believe you have left UKIP for the Tories which is probably a wise decision as the leave vote has won and the party is losing support but I am not so certain it will return to the Tories here despite her being a leave supporter – voting went down so much for Labour when it changed from Morley and Rothwell in 2010. Congratulations to Andrea on her new arrival and cheekily I ask whether you think having a delightful baby with you will lead to where you put your cross!!! Given the 16% UKIP vote I think Labour supporters are deluded if they think they have a chance here this time, barring major changes in the national picture. If Labour are to make a gain somewhere it might be in Scotland (East Lothian or Edinburgh North, perhaps), or perhaps Brighton Kemptown. But the strong likelihood is no Labour gains. Chris – the candidate issue puzzles me, it puzzles everyone in the entire town who I have spoken with about the election. Neil has a decent reputation as a Cllr… I’ve no idea as I don’t know him or had any dealings with him. You’d expect that there’d be a push for someone local, last time Andrea was able to position herself as a local champion against an outsider. I would think that national polling helps, and Corbyn wouldn’t enthuse people here. You might be right about the UKIP vote but I wouldn’t foresee it going massively toward labour, though I guess we’ll see. The baby is definitely an electoral prop… poor lad. The local FB page is largely dominated by left wing voices, though the evidence at hand isn’t great, must admit. Jack, I think you are right in the vast majority of areas within the country as regards the UKIP vote but I would disagree here. If you look at recent elections (local particularly), the Conservatives have stayed the same but Labour’s has fallen as BNP and UKIP rose. The only reason here is that it is a pro-leave MP. Luke – it seems silly to campaign at the moment, though some people are. People are so likely to say if they are uncertain “who’s your candidate” and when you can’t answer it reduces their opinion of you. Yes… all you could do is attack the sitting MP or talk about the Corbyn vs May for PM argument, which would go down like a lead balloon in Morley I think. Lots of Morley people in my experience tend to be fairly conservative in outlook, not necessarily Tories, and would be on the right of the Labour Party as was… echoing David Blunkett, along those lines. Not sure if M&O is like other Labour branches which have largely been taken over by Momentum, will the entire team back the candidate if they aren’t a Corbynite? At the current time there is no problem at all. There are some people from Momentum but we work well together – we had a “Question Time” event with Richard Burgon and Tracy Brabin last month. (with two people from TUs) which was chaired by Neil Dawson. That was very useful. We nominated Yvette easily due to her links with Ed and most campaigners (& summer party goers having been at their house). We nominated Stella Creasy above Tom Watson but it was narrow last time with Smith. Personally, I think Yvette is the best Labour politician to stand up to Theresa as her previous two PMQs has shown. There are some Labour branches where Momentum has an active role but nothing like “the other Labour branches” particularly recently. I think the next Labour leader will be a woman, 100%. Though I think Cooper would get the job on merit anyway, I’m not a fan particularly but she’s a strong character rather than a wandering nomad like Corbyn and could get the PLP functioning again. If I was Labour leader (perish the thought) the first thing I’d do would be to jettison Abbott, Thornberry and McDonnell to the back benches. Thornberry first, she just typifies the sneering, metropolitan style that has caused such a prejudice toward Labour from the working classes. Not suggesting Labour goes full ‘put the Great back into Great Britain’ or anything close, but something different. I know it’s satire but much of the Jonathan Pie stuff illustrates what the failings are. I hope it is a woman – there was a good article in the New Statesman saying how much the support for Yvette is in the parliamentary party, even saying it might be the case that she could be elected without it going to a vote. The only other “moderate” woman is Lisa Nandy though I think the greater experience would tip things Yvette’s way. I think Yvette Cooper would have Emily Thornberry in the shadow cabinet. Emily was a key figure in Yvette’s campaign in 2015. From the outside it appears that the most popular people in the PLP among colleagues are Cooper, Benn and Watson. Watson strikes me as a master fixer, the sort of bloke you’d want on your side. My favourite would be John Mann, but he would trigger a lot of Labour’s new support. I think Yvette Cooper would have been a very good leader, and still would be, but her chance of ever becoming PM has in all probability passed. Realistically the leader of the rump Labour Party in the new parliament will on the best case scenario be a transitional leader who restores some stability, and perhaps achieves gains at the next election, before handing over to somebody else. Given that I’m not really sure if somebody like Yvette would be so keen on the job. You can get reasonable odds of 25/1 on Thornberry, Watson and Benn but there are no odds on John Mann – he seems to be less likely than Tony Blair and Simon Danczuk. We didn’t get constituency by constituency results, but overall results for Leeds are 49.7% voted to leave the EU. So Morley is a remain area. The Chris Hanretty estimate (they are not gospel but they are the best we have) is that M&O voted leave by a 60-40 margin. I’d imagine Morley itself would be at least 55% for leave – it is much whiter than Leeds generally, and doesn’t have as many young people. I was at the count for the Leeds area, Morley was one of the strongest areas for Leave in Leeds. Might have even been the strongest. There and Middleton were v strong. Morley returned a BNP councillor before.. so make of that what you will. Not the kind of place I’d want to call home. It was an honest comment which most people would at heart agree with. Name me one place which has elected a BNP councillor which isn’t a run down shithole which few would choose to live in….I can only think of the Isle of Dogs which breaks that rule and that’s only because it has gentrified beyond all recognition since then. Frankly, sitting in Oxford in your ball gown and calling other people snobs for not wanting to live in some godforsaken dump makes you look a bit ridiculous….if that’s what you think why not move to Morley, or Swanley, or New Addington yourself? Yes you do, or you’d choose to live in them. Morley is actually a nice town, but the voters are quite volatile…. The BNP had been working the area for quite a few years and saw a gradual rise in support, with the independents thrown in, the vote share doesn’t have to be all that high to win there back then. I didn’t live here at the time so can’t really put a finger on why they were successful, mind. Bloody hell, you must be very popular with your Oxford classmates. Don’t waste your youth on being a young fogey…you’ll get plenty of chance to be an old one. Normally I’d agree but If you are happy to live amongst large numbers of neighbours who support the BNP then, for someone of your education, you are seriously weird. I think H Hemmelig is being a bit harsh. I certainly wouldn’t want to live in BNP-voting areas but by the same token, I wouldn’t be all that keener on living in metropolitan liberal places- I had three years of that at Cambridge and whilst I have good memories, I am much happier in provincial England. In all seriousness, there is a serious issue in this country with groupthink among the metropolitan middle classes. They are far more prone to it than provincial folk, precisely because they are the sort of people to talk politics to each other, and therefore reinforce each other’s opinions. The opinions of an individual at Oxford University are likely to be an amalgamation of the opinions of those around them. It’s good to be different – not to be contrary for the sake of being contrary, nor to be totally unwilling to listen to other points of view, but it is most certainly anti-intellectual to just go with the consensus for no reason other than it being fashionable to do so. I agree wholeheartedly. And it appears to have got a lot worse in the last 15 years or so. I remember being at school in the very pro-EU mid 1990s and we had a number of highly educated teachers, including Oxon, Cantab, master’s and Doctorates, and they all had very different views between them on everything from the gay movement to climate change to the EU. There seemed to have been more Right-Wing intellectuals in the past (albeit they were always in a minority). At University (Politics, York) I had some very left wing professors, but they were quite OK with me espousing right wing arguments in essays, provided they were considerd and predicated on sound justification. We had quite a young left-wing lecturer who was pretty Eurosceptic and disputed the thesis that the UK was an “Awkward Partner” in the EU. I suspect the metropolitan middle classes are, by and large, aware that their opinions are often at odds with the rest of the country. This is one reason, amongst many, that they live where they do – to be around like-minded individuals. And perhaps more pertinently, I suspect they simply do not care what the rest of the country is thinking. I think another thing to consider is that the metropolitan middle classes are generally more politically aware anyway, and thus tend to be more rigid in their viewpoints. They are less likely to change votes, and are less susceptible to things like political canvassing or party broadcasts, because their minds are already made up. They are much more likely to be clued-up on things like policies than the average voter. As for my original comment – I stand by that. Places that have significant votes for parties like the BNP or UKIP tend to be unpleasant in a variety of ways, and I have no interest in even visiting them let alone living in them. I am also happiest in provincial England, as it happens. Though I find metropolitan liberals generally nice enough and count a fair few as friends, I’m not really one myself and never have been. Though I undoubtedly prefer their company to that of the stereotypical BNP voter. That’s where I’ll disagree with you….plenty of nice places have in recent years had a fairly high UKIP vote, including large swathes of the deeply Tory home counties and very attractive rural areas. This will most likely change at the 2017 GE however….with the absurd decision to focus his entire campaign on burkhas, Paul Nuttall seems to be determined to re-invent UKIP as BNP mark II and will most likely only end up with a significant number of votes in areas where the BNP went down well. Well Cheesus, I would definitely disagree with you as regards living in Morley. I live in a very middle class housing area which was built at the start of 90’s which apparently – look at Ian Mallett 17/2/15 on the Normanton, Pontefract & Castleford page – is a very large executive type housing. 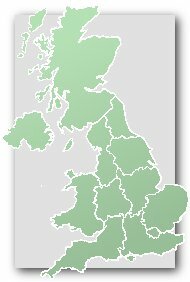 The BNP got elected by 12.58% of voters mostly from a small area of town where it had 90 members (in the constituency) in 2008. He easily lost the seat when it came round to re-election in 2010.Since then the BNP councillor moved out and not surprisingly it crumbled. Nowadays there are so many more executive housing estates and this seat is heading towards being a safe Tory seat. Labour lost last time because of the “Balls effect” – the majority being bigger than Andrea Jenkyns’s. However, Luke is completely correct when he says Morley was a roughly 60-40 leave constituency. In a four way contest as it will have been at the time, a candidate can come through the middle and win, as happened with Chris Beverley. The only wards which the BNP could ever have won was Morley South, Middleton and Ardsley & Robin Hood. Weird that the latter nearly returned BNP and English Democrat councillors, and also UKIP too… yet was strongly for remain in the referendum. Luke, by the latter do you mean Ardsley and Robin Hood? Myself and my partner live in that ward and voted Remain, and I’ve always assumed since that in so doing we’d been in the minority. Hi Matthew – yes, Ardsley & Robin Hood. Mainly Robin Hood to be honest… leave voters in parts of Robin Hood were less common than Tory voters in parts of Liverpool. It was a target ward for UKIP in 2016… I’d reckon that Ardsley would be a bit Ukippy, esp East Ardsley, whereas the rest of the ward would be fairly split. Tories have under performed badly in this ward for years, struggling to hold second against UKIP when you have the sitting MP and UKIP polled badly across all of Leeds (without fail) is damning. That’s really interesting. Can only think that’s because Robin Hood’s more young families and young professionals, on the surface at least. I lived there at the time of the referendum but now live in East Ardsley. That’s definitely slightly more down at heel, particularly the Westerton area between Ardsley Reservoir and the A650. Loads of new housing going up though which will probably make it more like Robin Hood as it becomes prime commuter territory (my partner and I are typical of that demographic, living in a new build estate near Thorpe). HH- ‘I am also happiest in provincial England, as it happens. Yes I would agree with that. I also have liberal metropolitan friends and enjoy seeing them, though I had to keep fairly quiet during and following the referendum. Which is why I said ‘tend to’, because there are obviously exceptions. For example, areas of Kent and Essex such as Brentwood and Sevenoaks have high UKIP votes but are both perfectly pleasant middle-class towns. Surrey, by contrast, has a low UKIP vote. This is probably because Surrey is established middle-class, while Kent and Essex are home to many working class types who have ‘done good’ and ‘upsized’ from East London. Big difference between the two beyond economic status. But in general, stereotypical UKIP towns like Margate and Clacton don’t even bear thinking about it, and places around here (Leeds) that have high UKIP votes are almost always unpleasant, whether they lean Tory or Labour. Luke Senior – how do you know Ardsley and Robin Hood voted Remain, given Leeds City Council as no ward-by-ward figures, unlike Birmingham or Nottingham? Are there estimates? I’d hazard a guess that somewhere like Headingley or Roundhay would have the highest Remain vote, and Middleton Park the highest Leave vote. That’s a generalisation. Some of the nicer bits of Surrey have quite a high UKIP vote (eg East Surrey / Tandridge) as well as some of the more working class bits like Spelthorne. Also plenty of nicer bits of Kent where UKIP do well – you mentioned Sevenoaks, there’s also Tunbridge Wells, Tonbridge and the Weald bit of the Maidstone seat. Yes, it is a generalisation. UKIP voters tend to be poorer and less educated, and tend to be most concentrated in poorer, older towns. It is very much the party of the ‘left behind’ segment of our society who have not felt the benefits of globalisation. There are always exceptions to any general rule, but it’s no secret that more middle class areas with highly educated populations are usually not fertile ground for UKIP support.